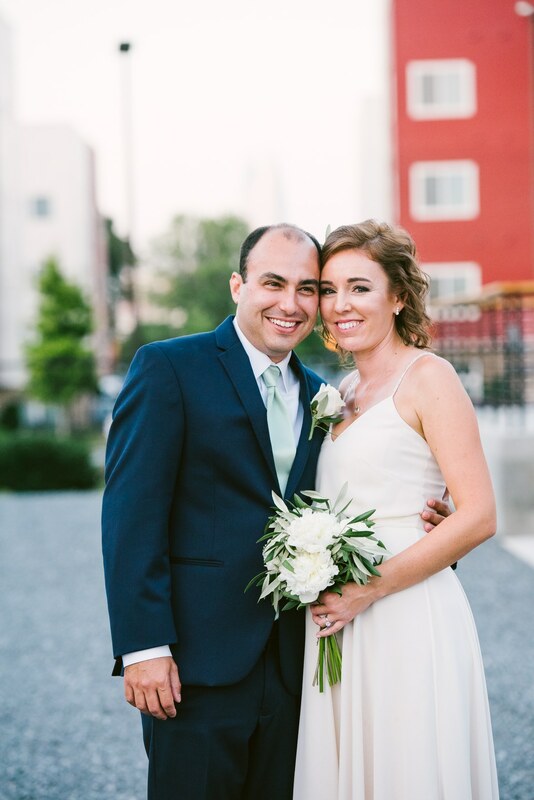 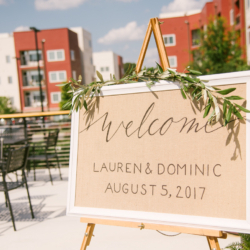 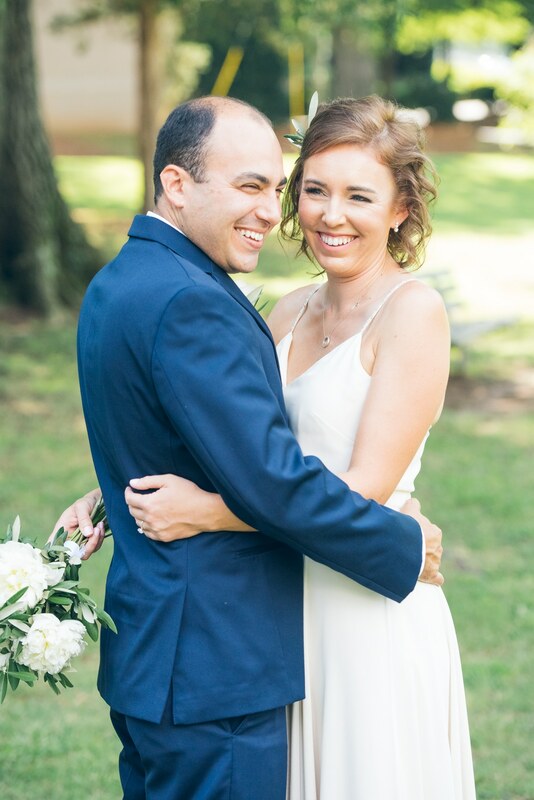 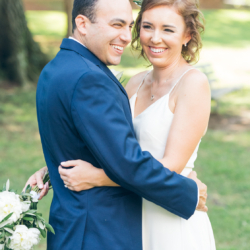 Lauren and Dominic were such a sweet couple to work with and I loved their simple style that was still so unique to their couple style! 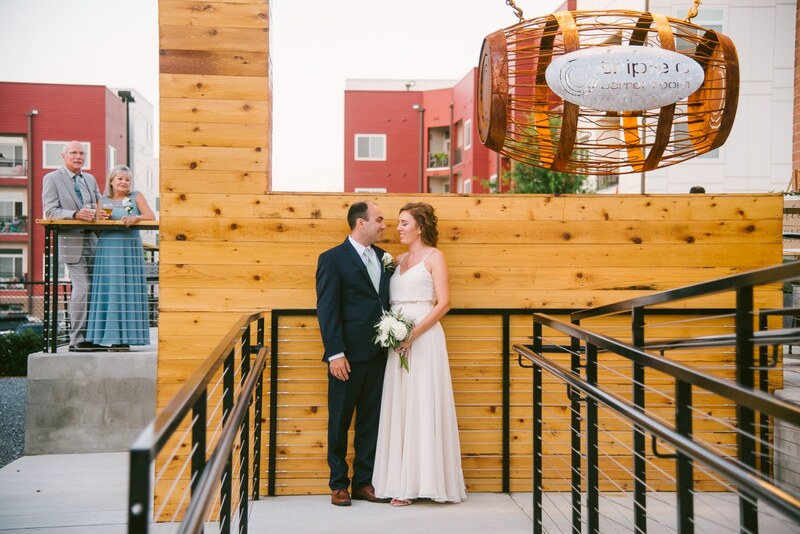 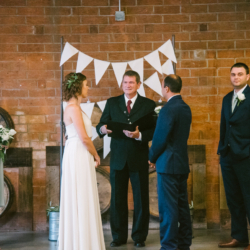 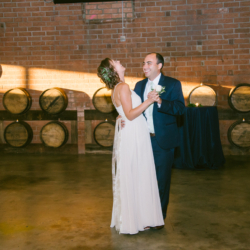 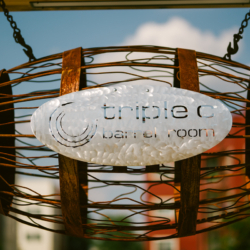 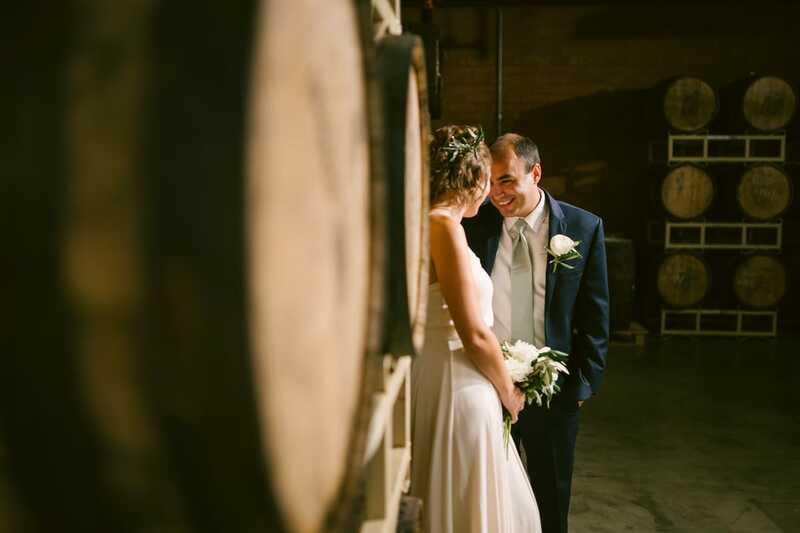 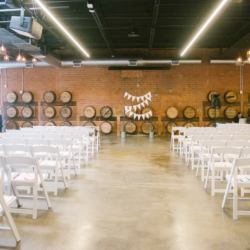 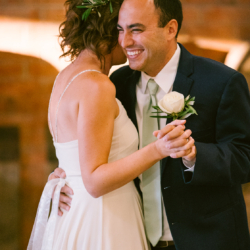 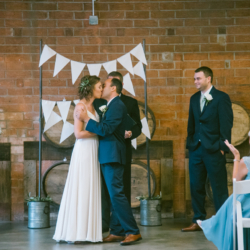 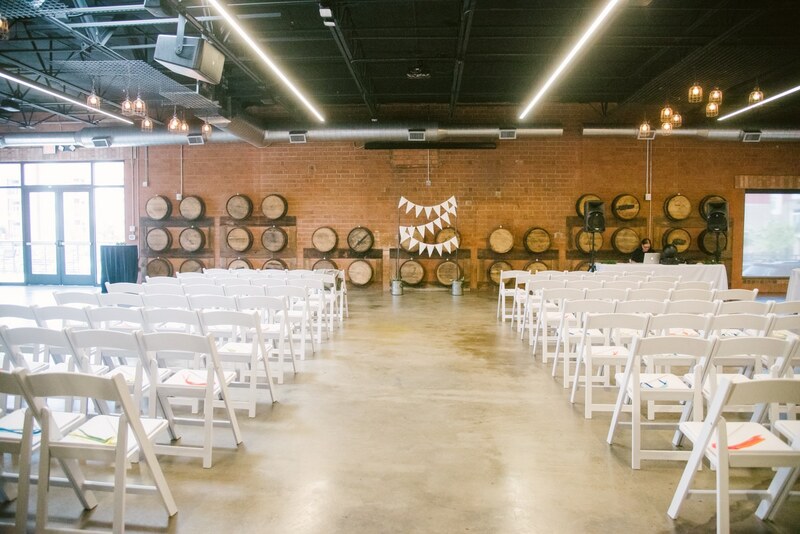 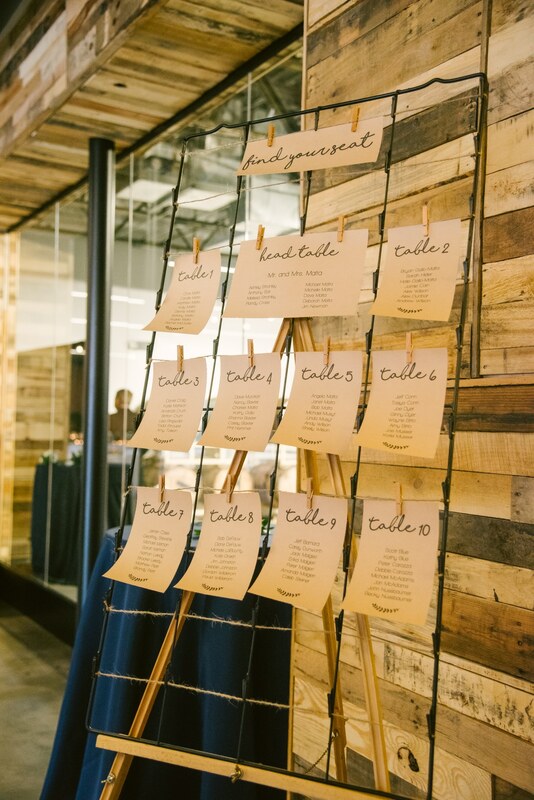 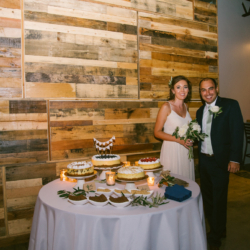 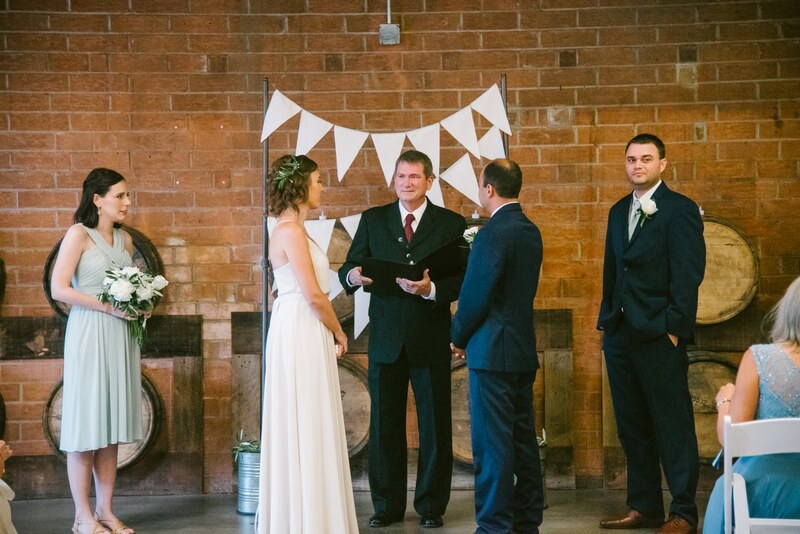 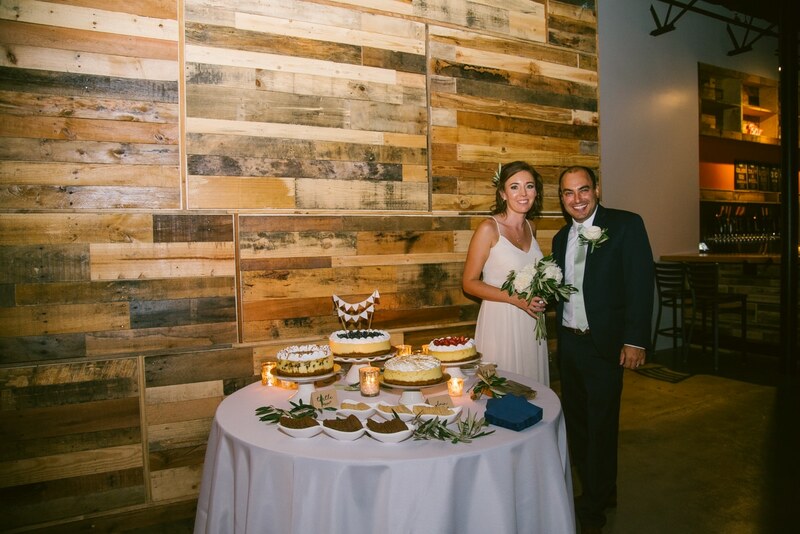 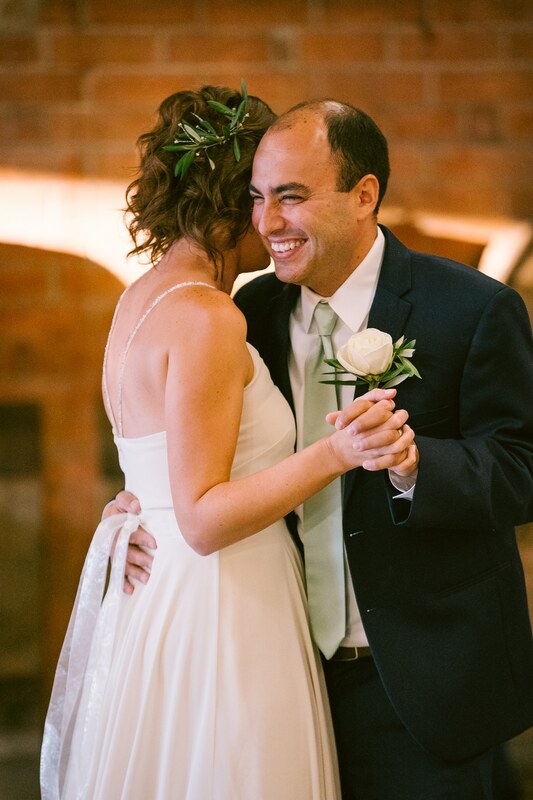 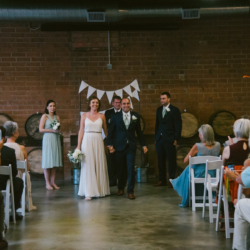 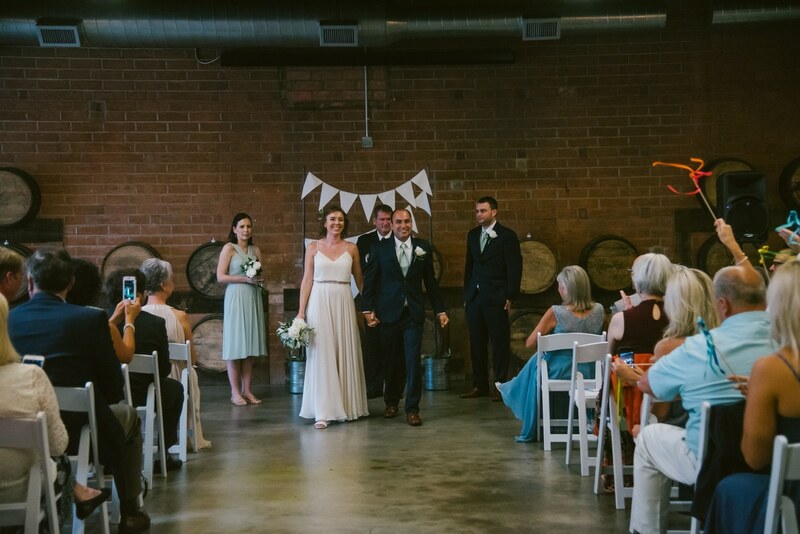 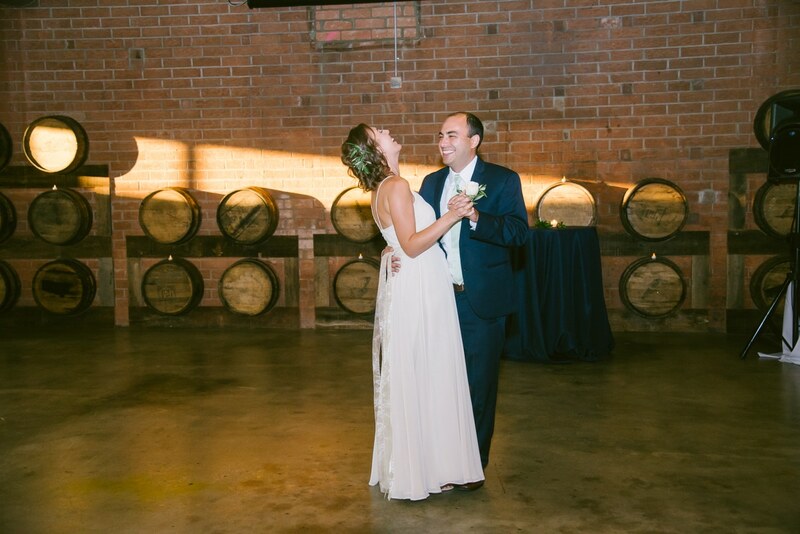 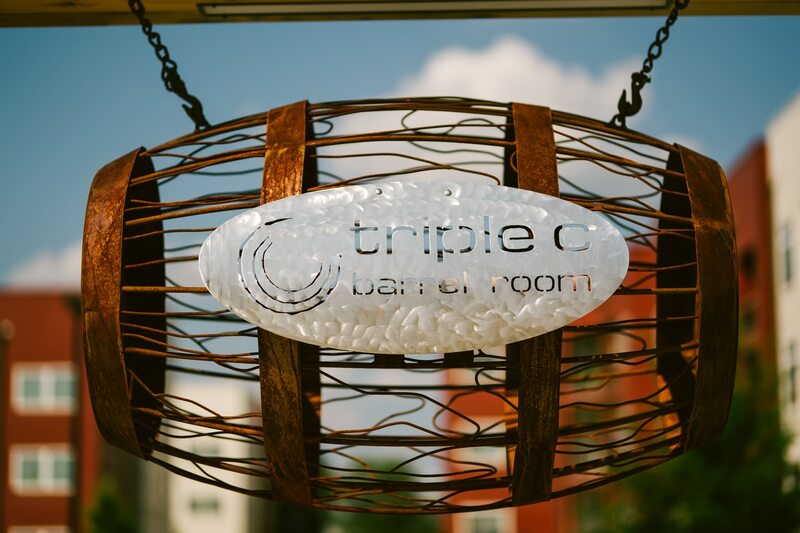 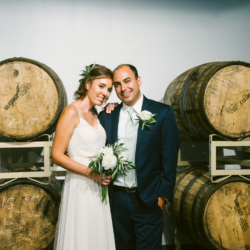 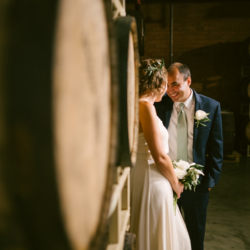 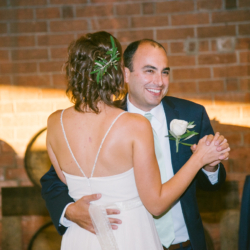 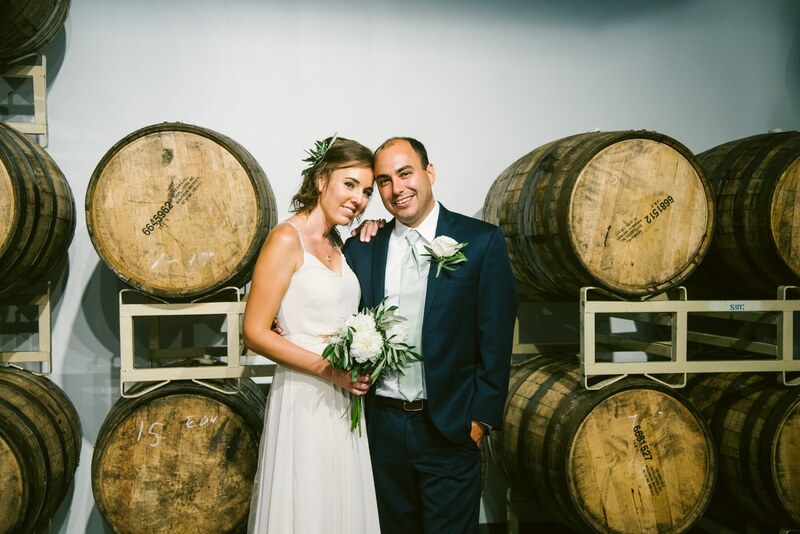 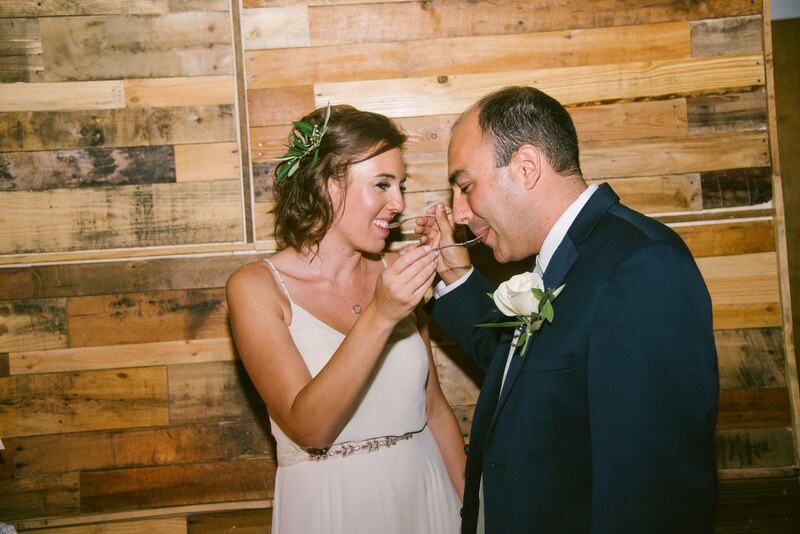 Their wedding was the first wedding in Triple C’s Barrel Room, and let me tell you it is a beautiful space! 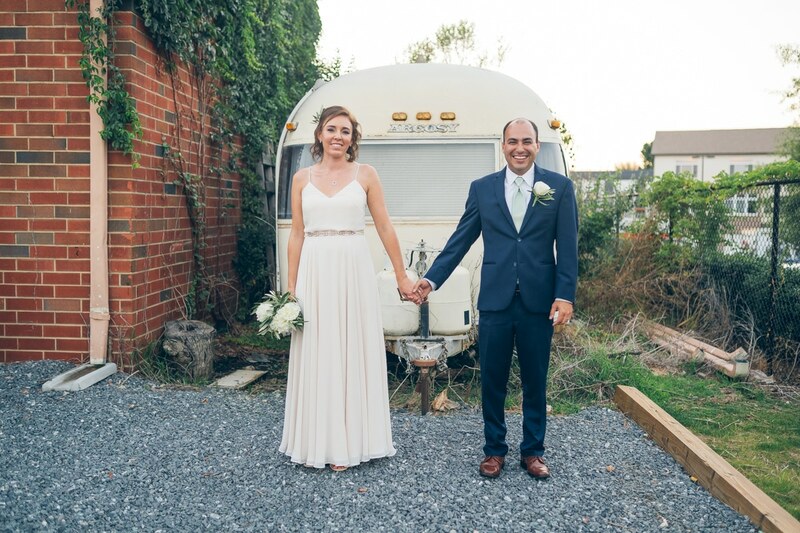 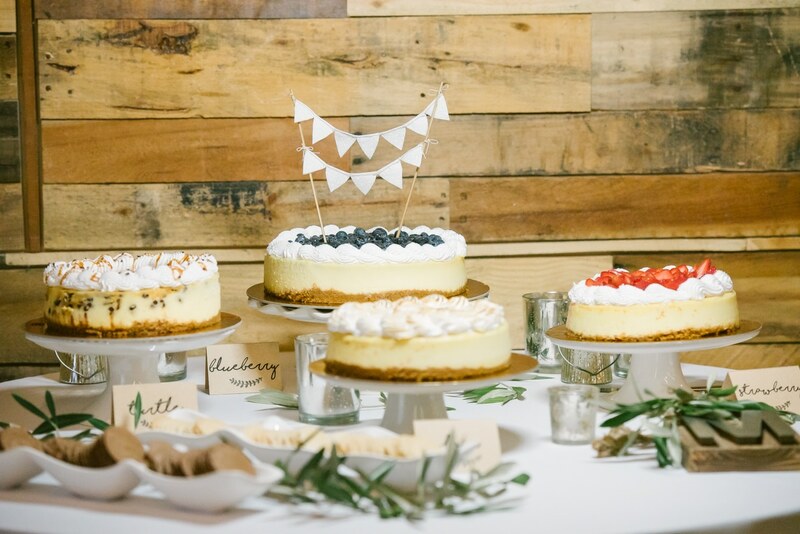 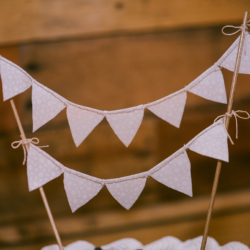 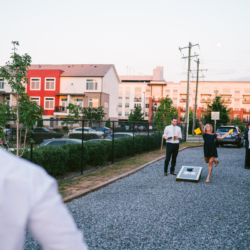 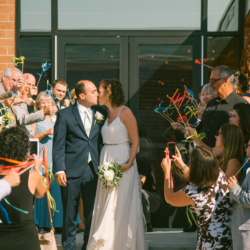 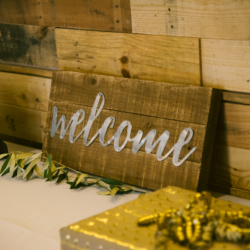 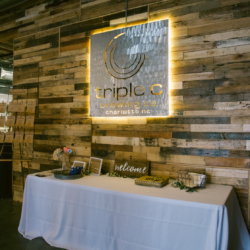 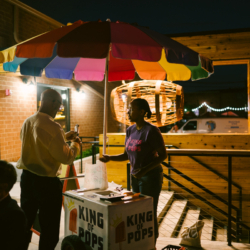 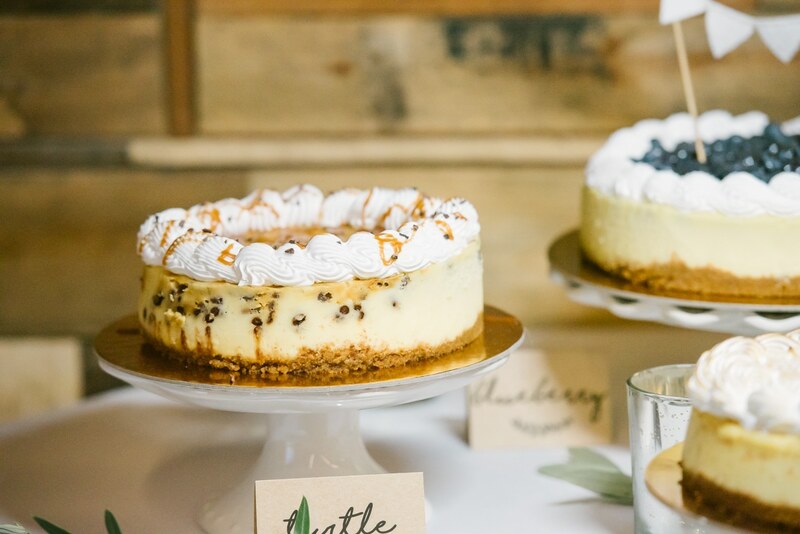 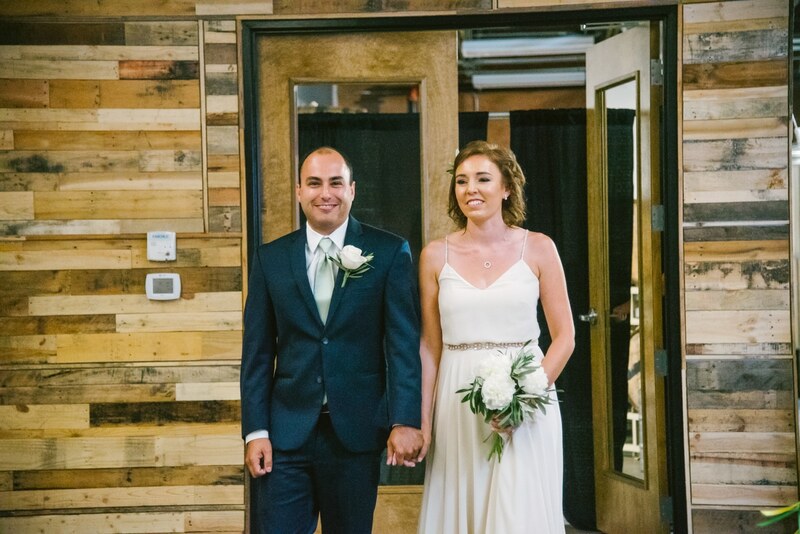 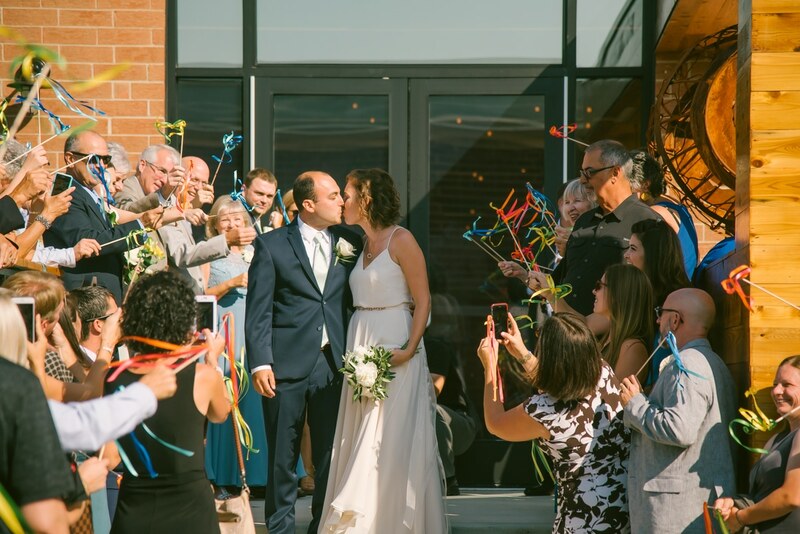 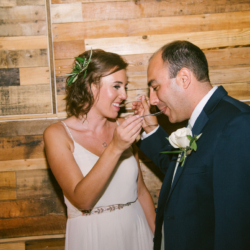 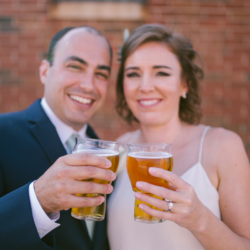 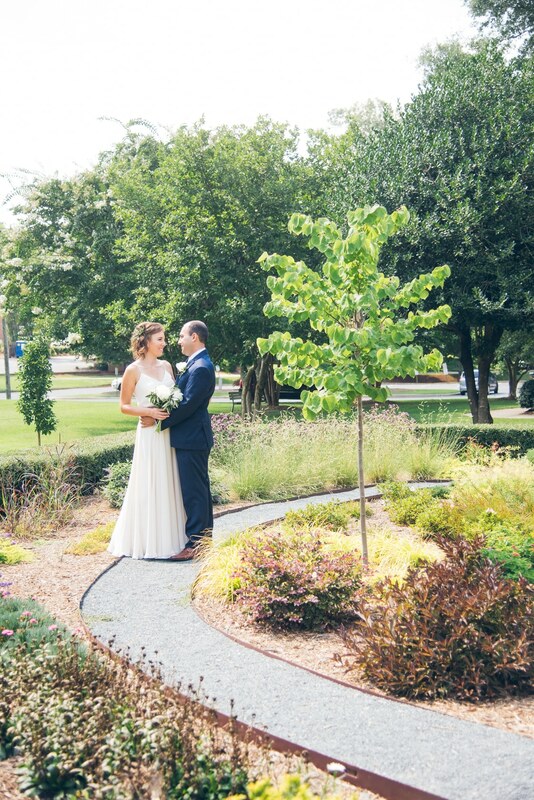 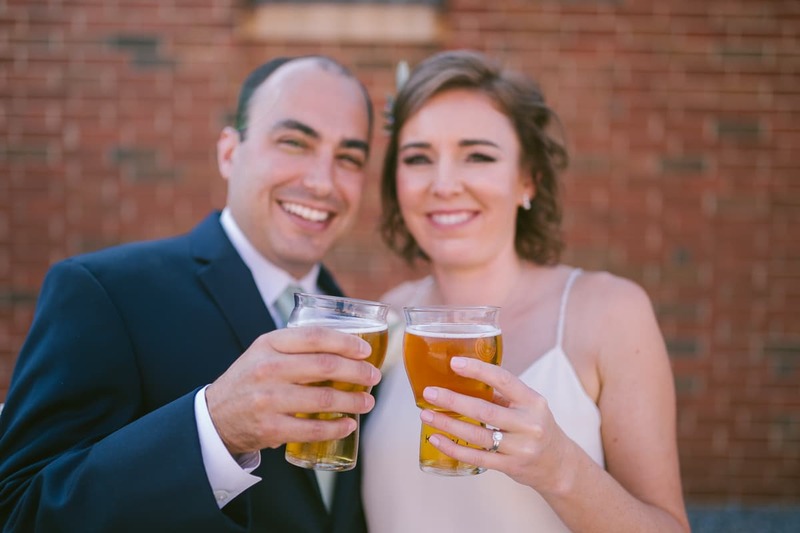 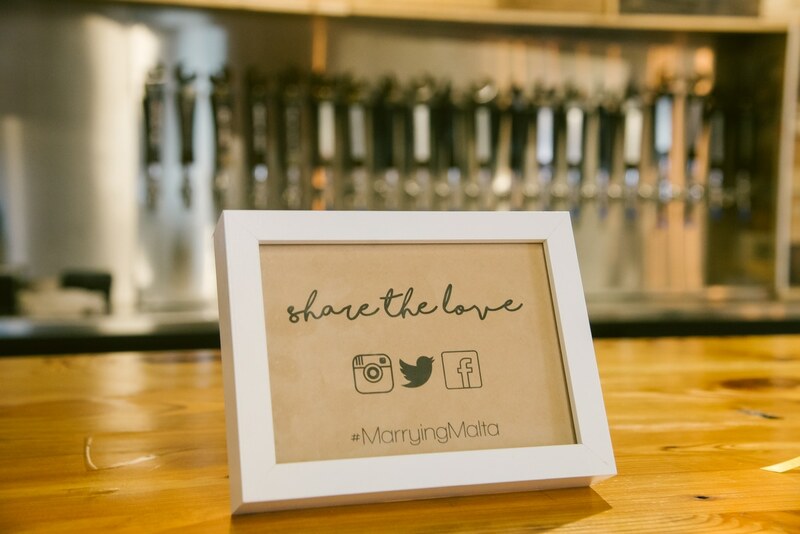 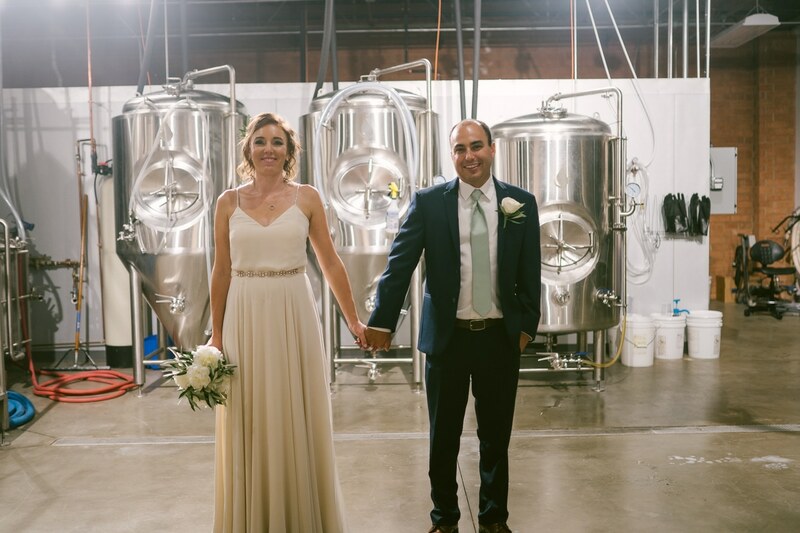 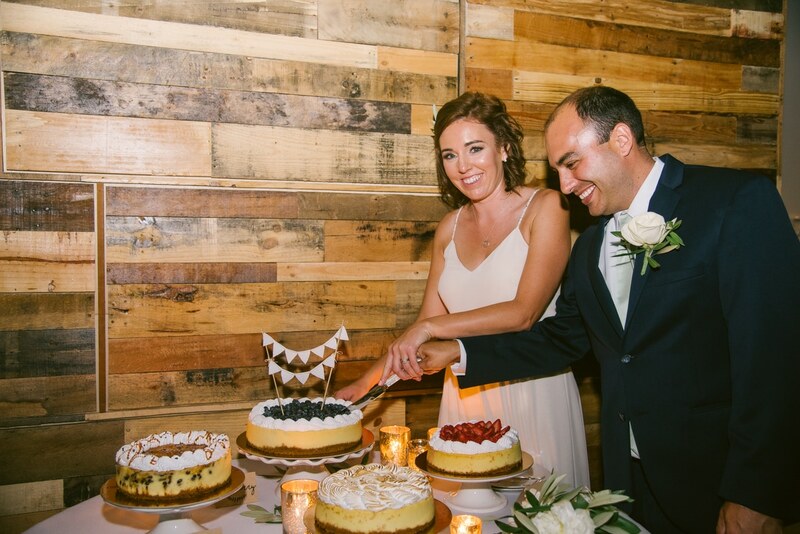 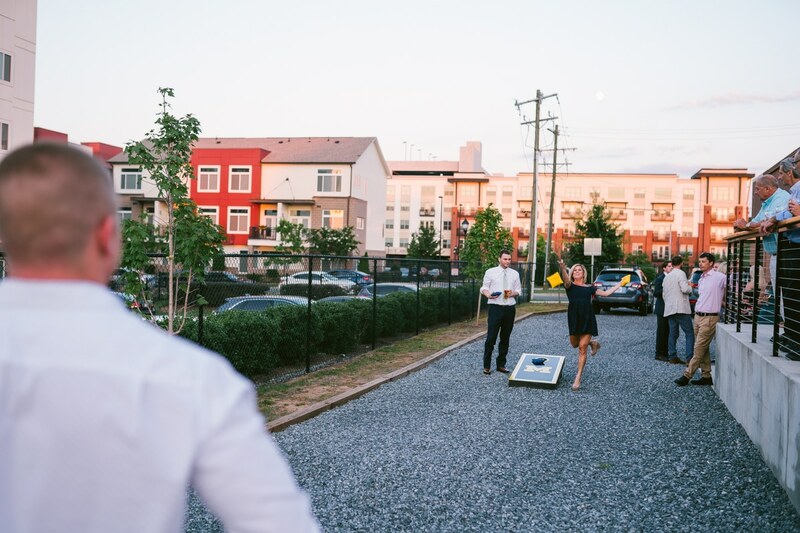 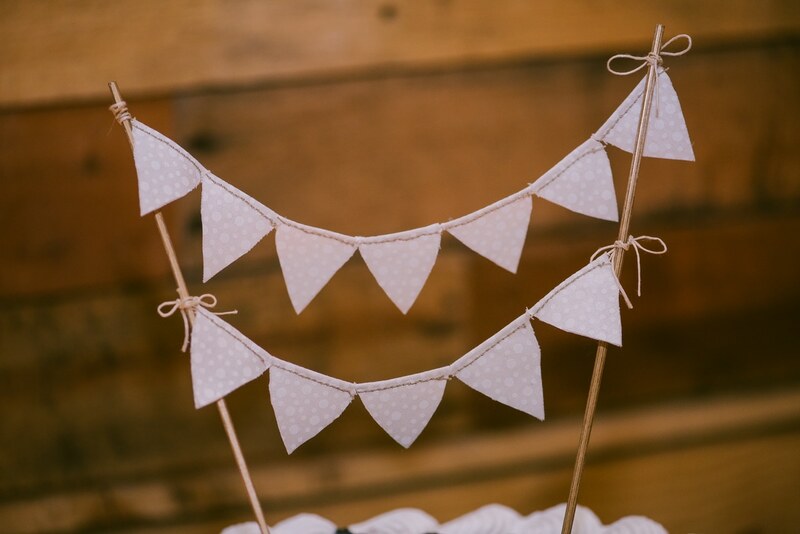 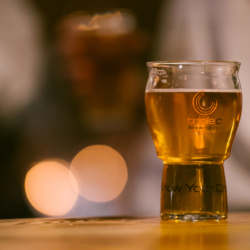 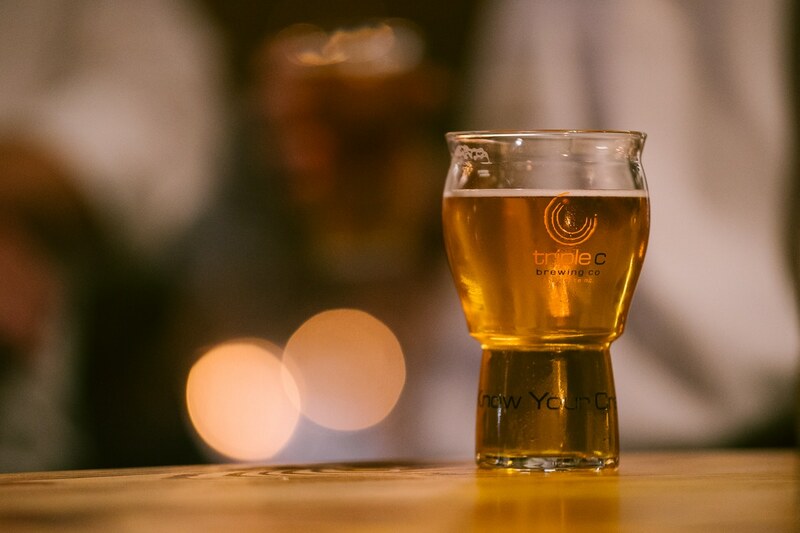 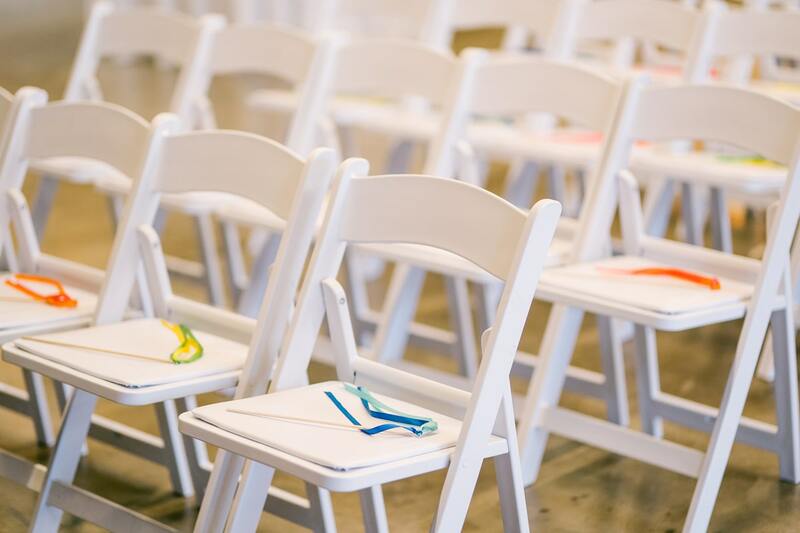 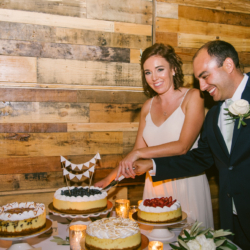 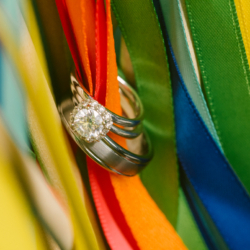 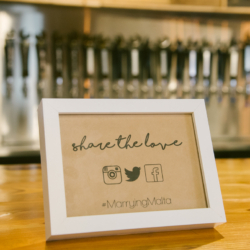 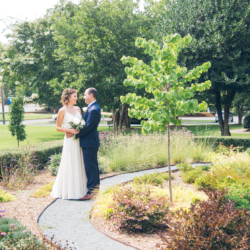 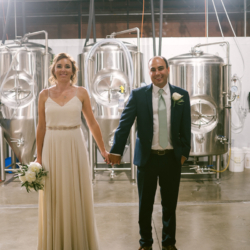 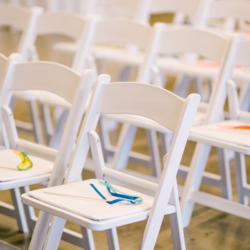 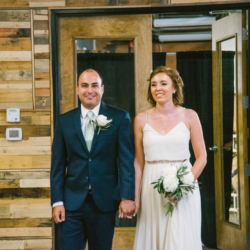 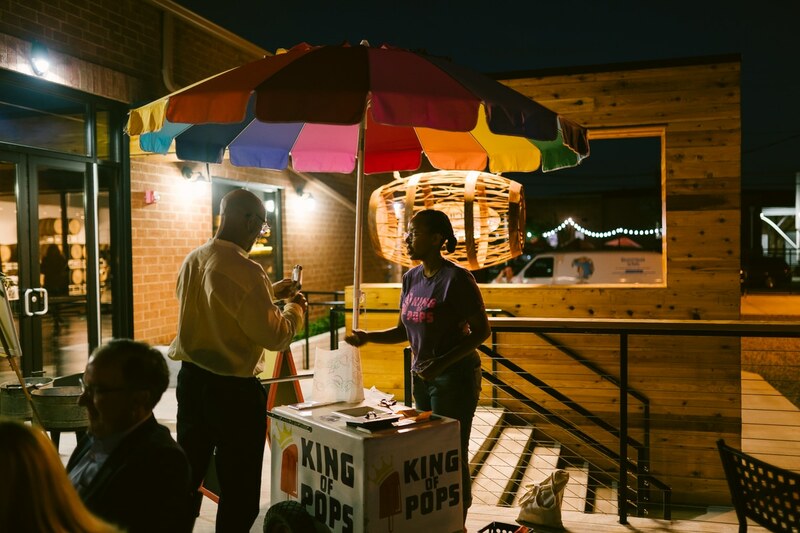 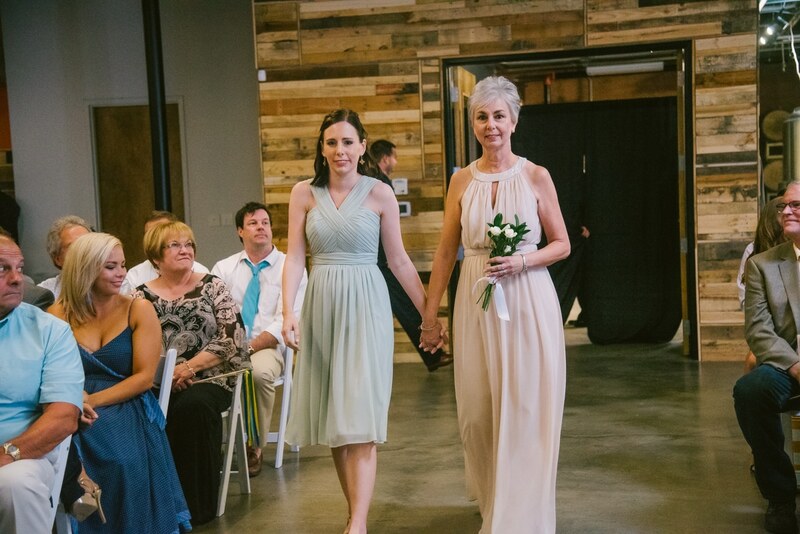 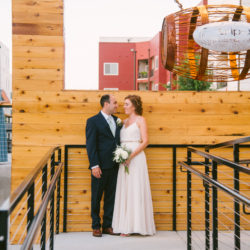 When Lauren heard Triple C Brewery was building a space for weddings and events, she decided she wanted to get married there, before it was even built! 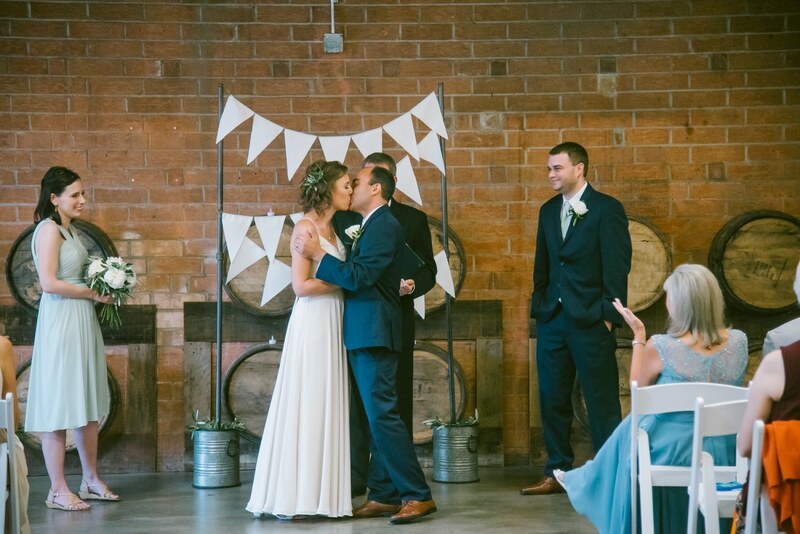 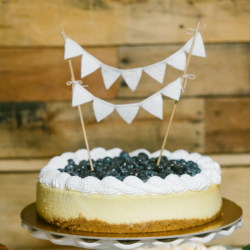 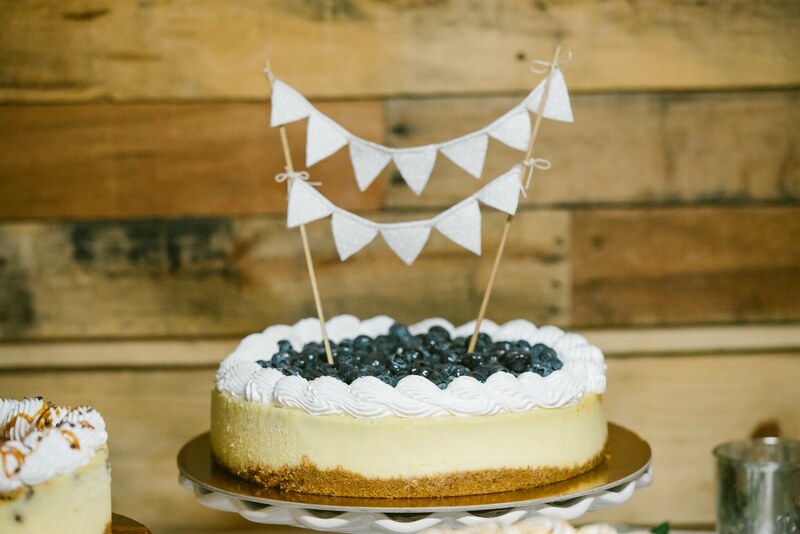 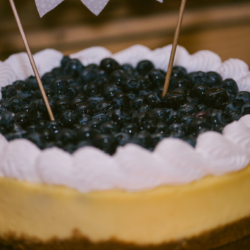 She didn’t stop contacting their staff until she got the date booked on her father’s birthday, she knew it was meant to be! 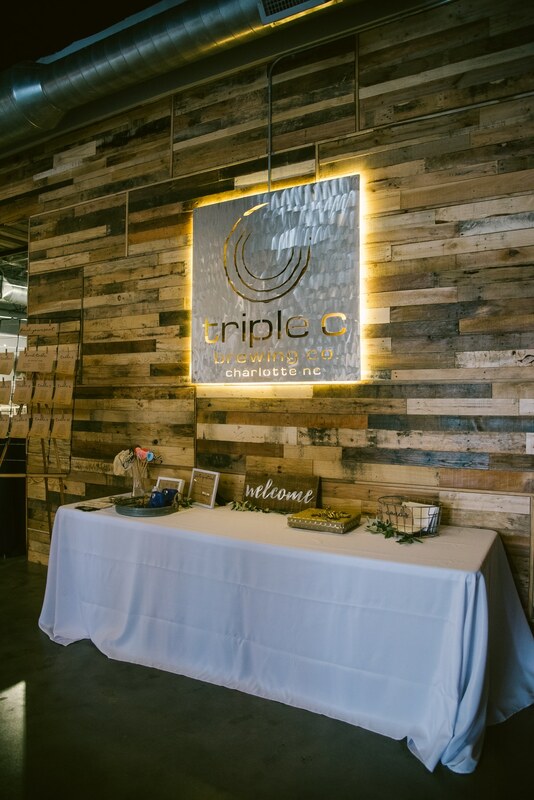 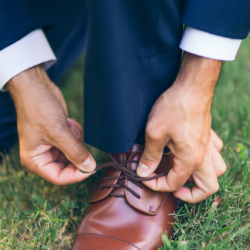 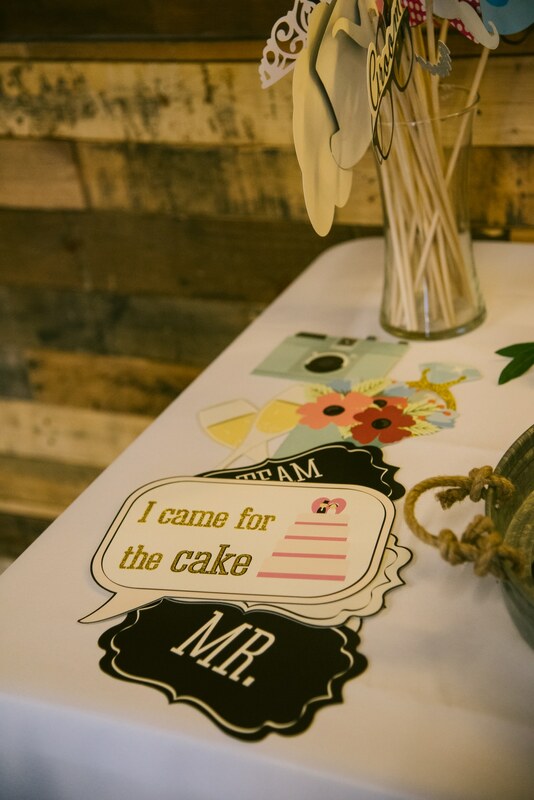 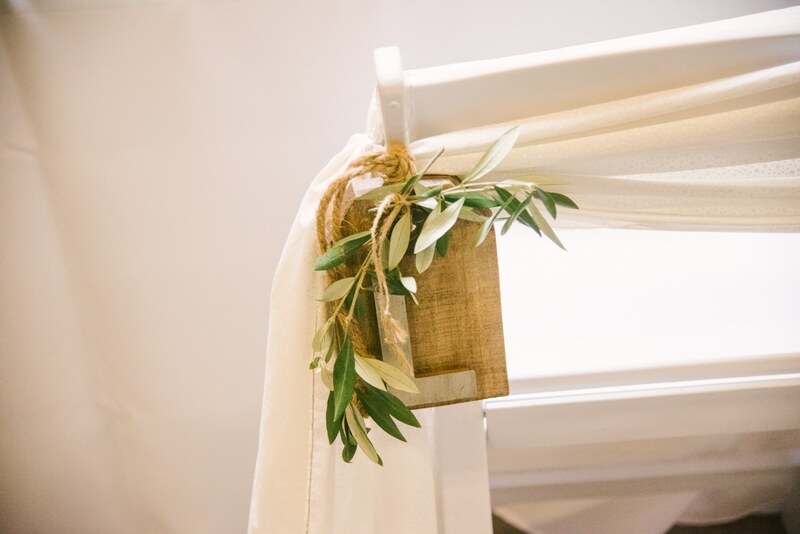 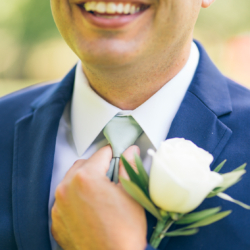 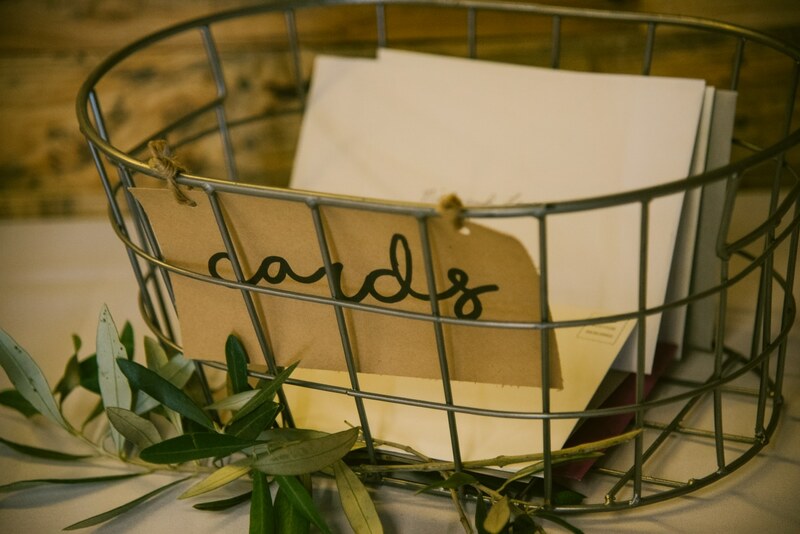 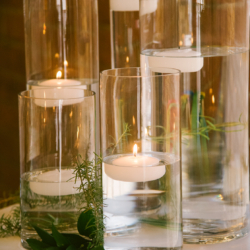 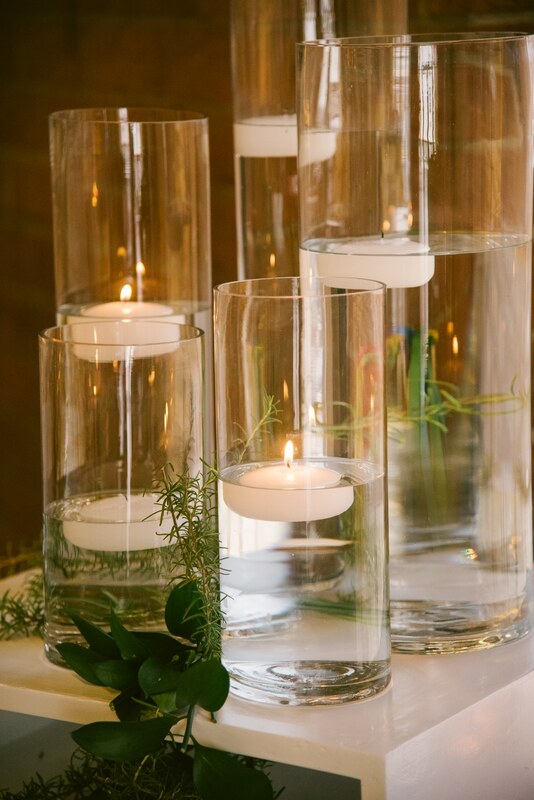 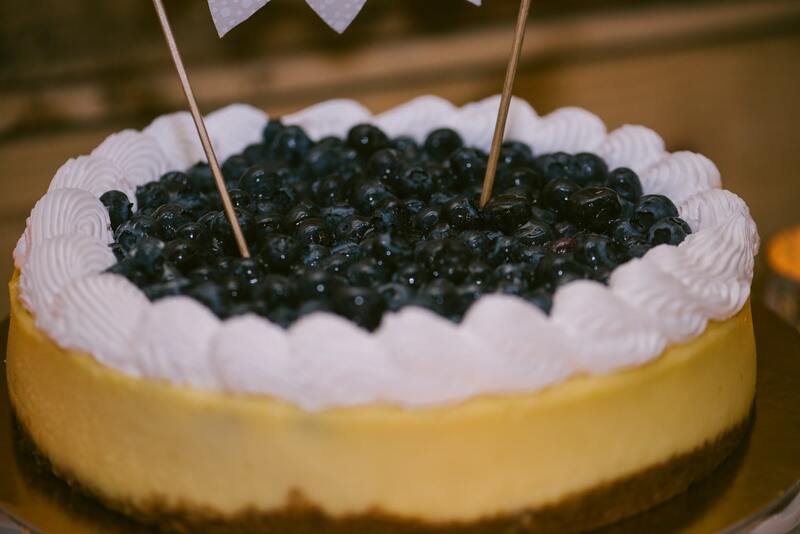 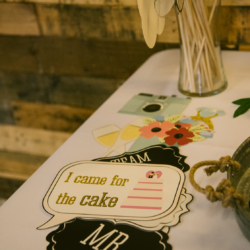 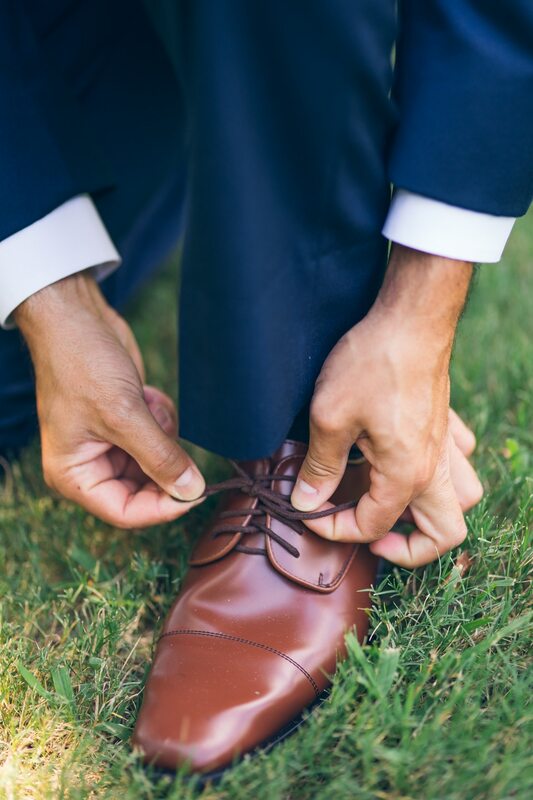 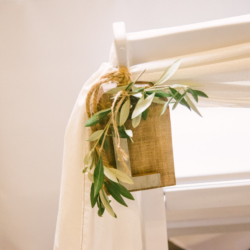 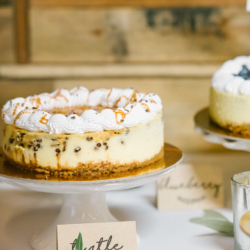 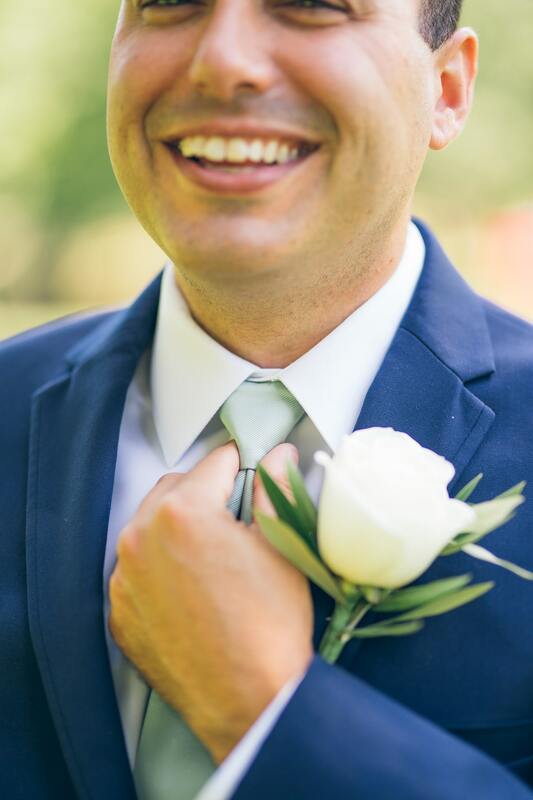 I absolutely loved the laid back but still romantic style of this wedding, and Triple C was the perfect spot to have it. 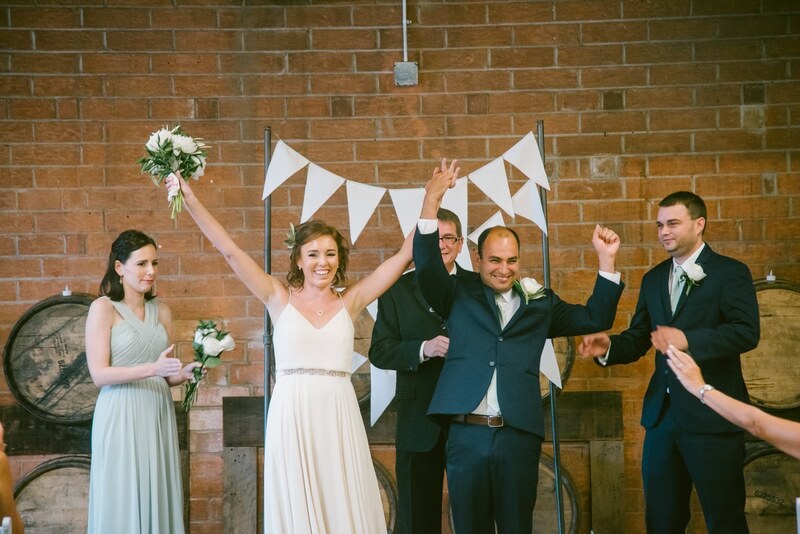 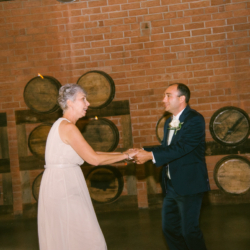 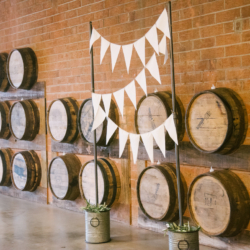 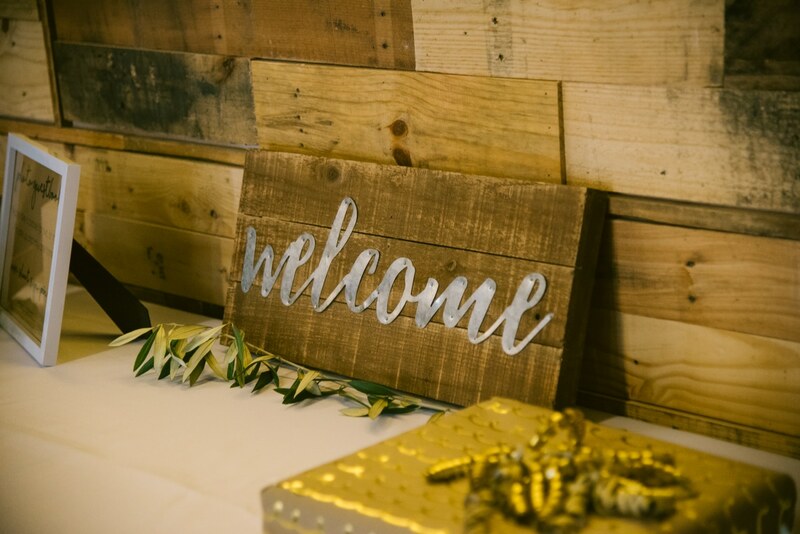 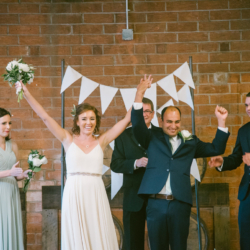 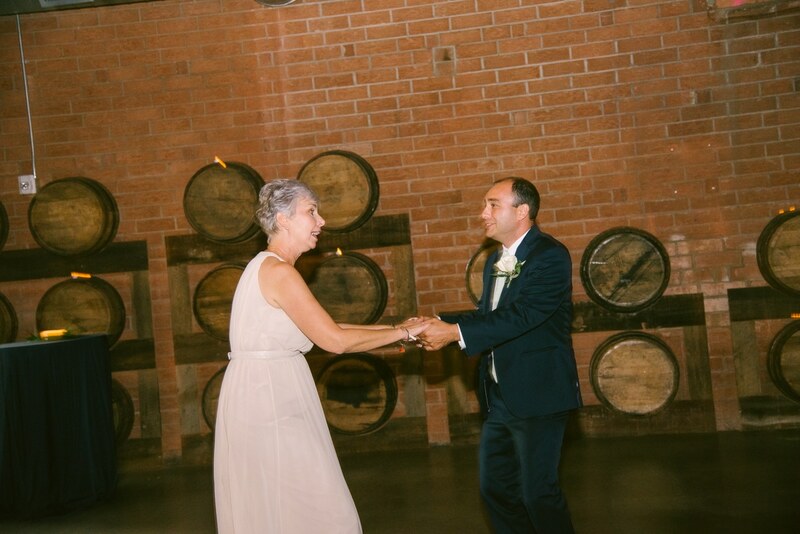 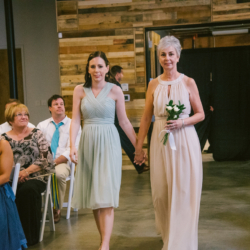 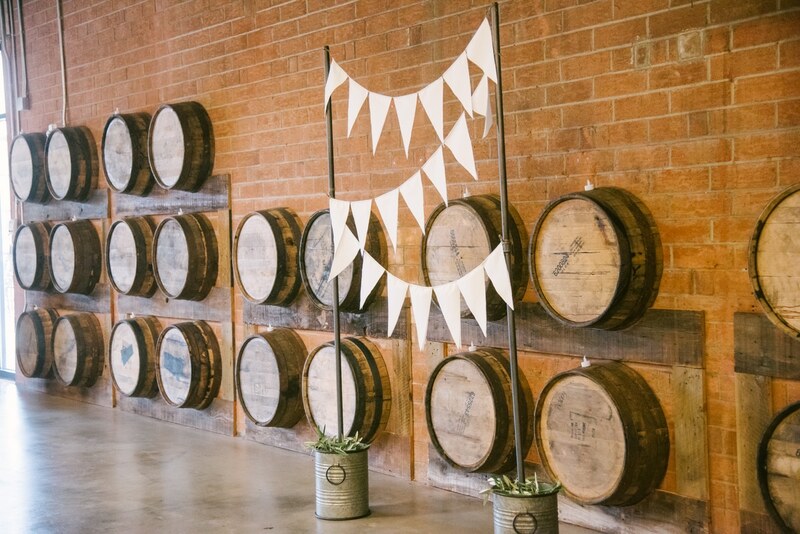 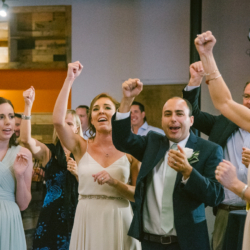 The “barrel wall” right behind the ceremony was the perfect touch to her vision of a party atmosphere full of fun. 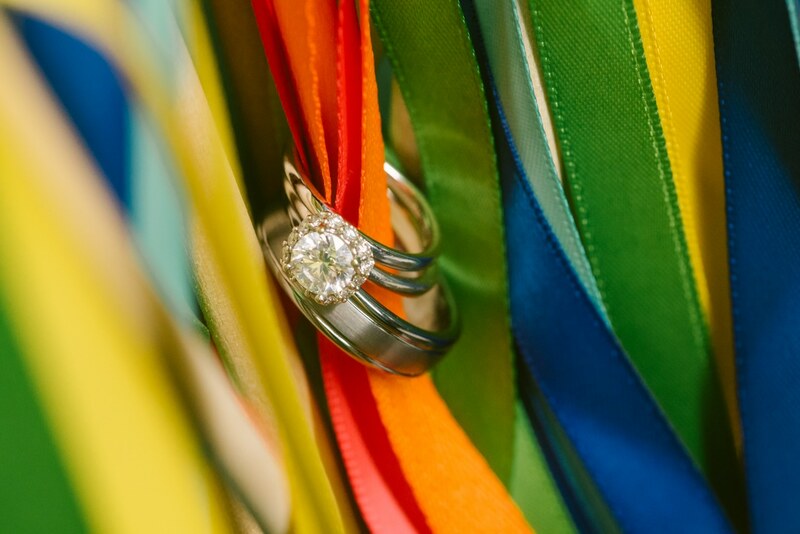 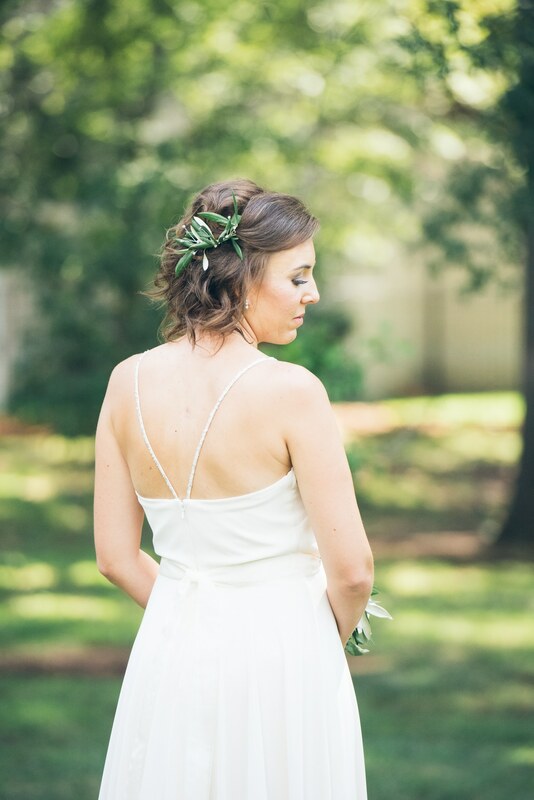 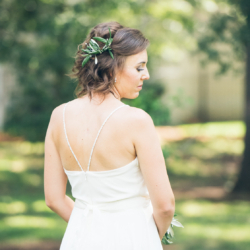 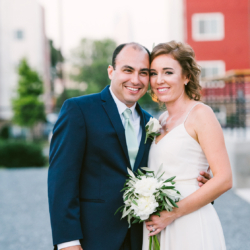 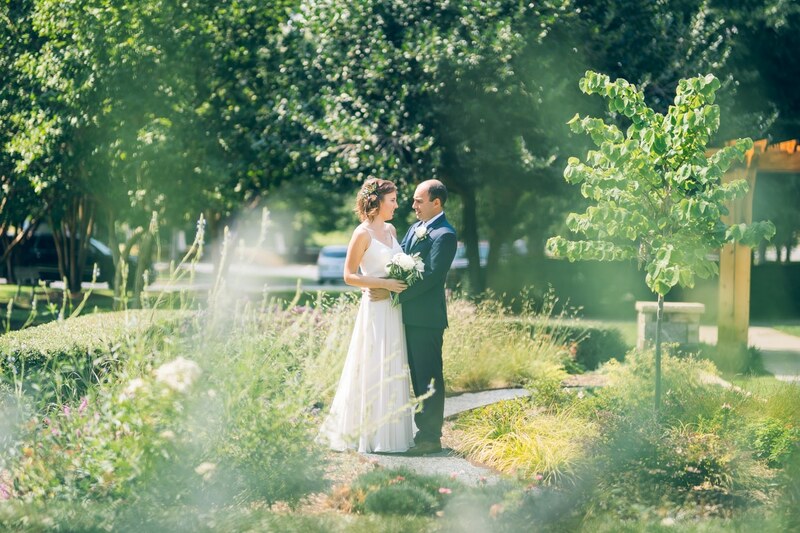 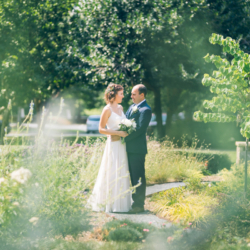 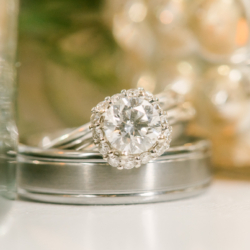 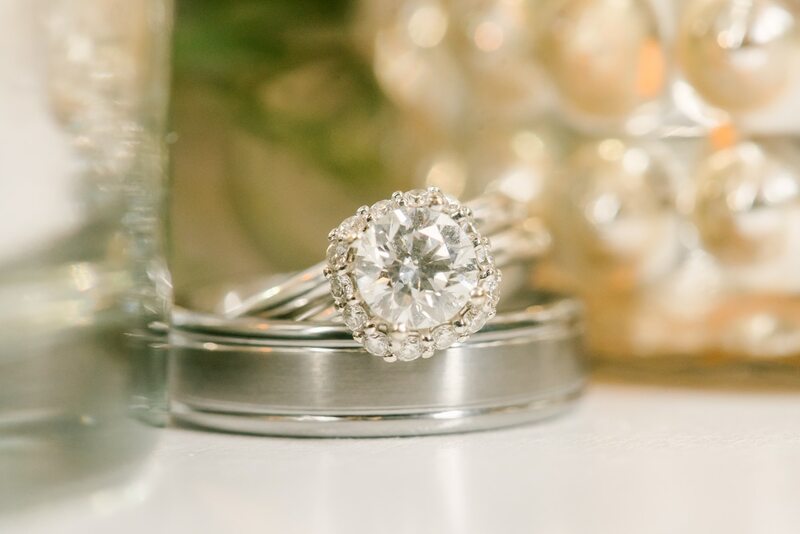 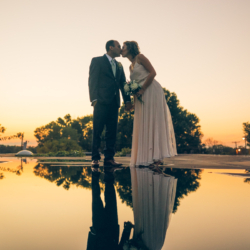 Lauren and Dominic truly were a beautiful couple and their wedding reflected their love perfectly. 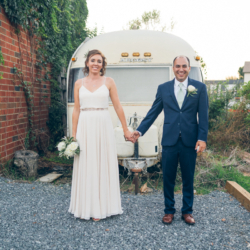 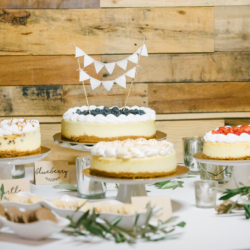 Instead of a formal dinner, they decided to have a “food truck” style buffet with an assorted variety of foods. 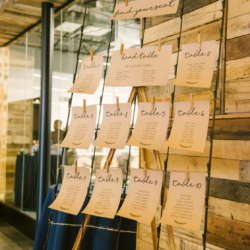 Holly and her team at Delectables by Holly did a fantastic job creating a beautiful display of their delicious foods, especially the mini tacos–my favorite! 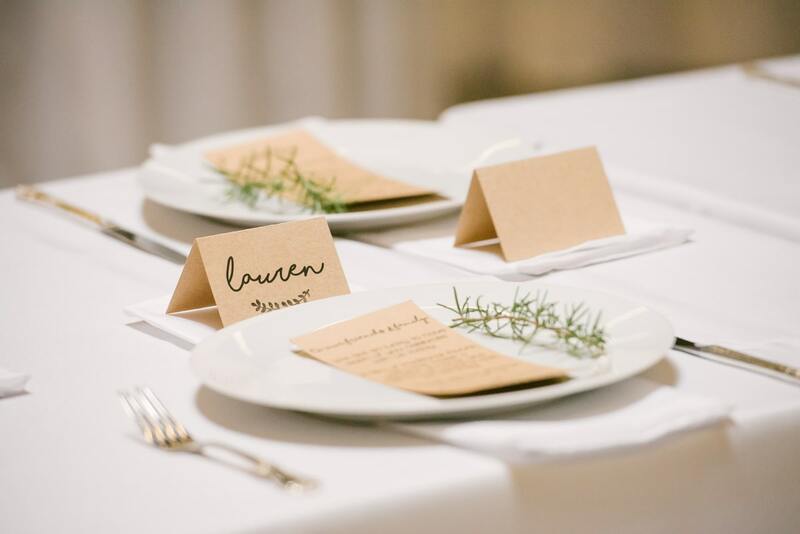 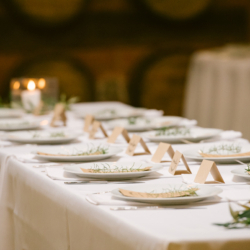 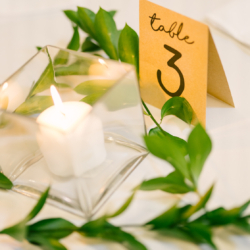 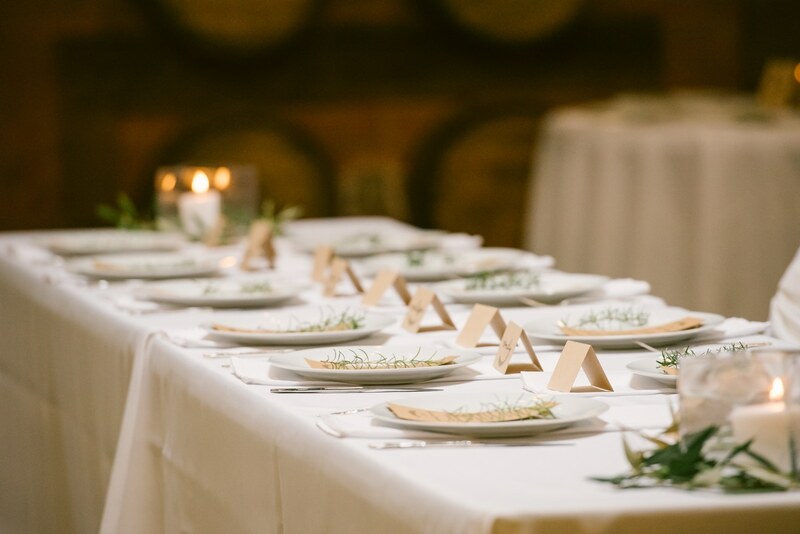 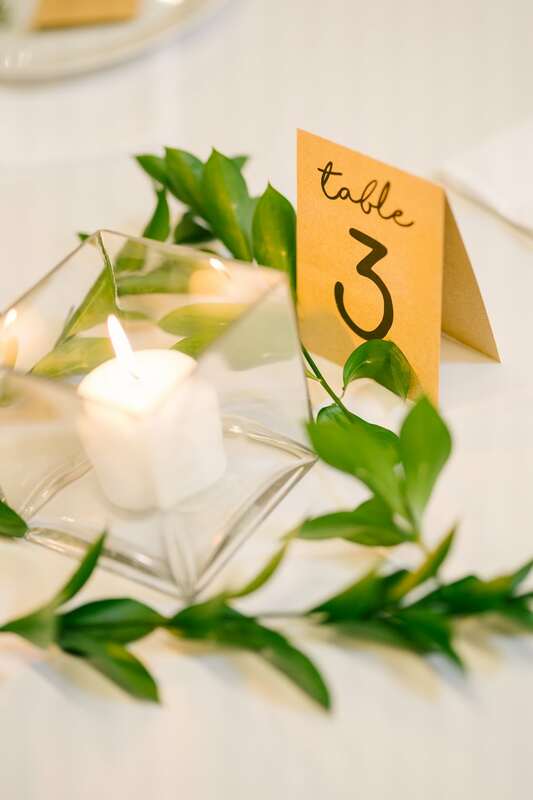 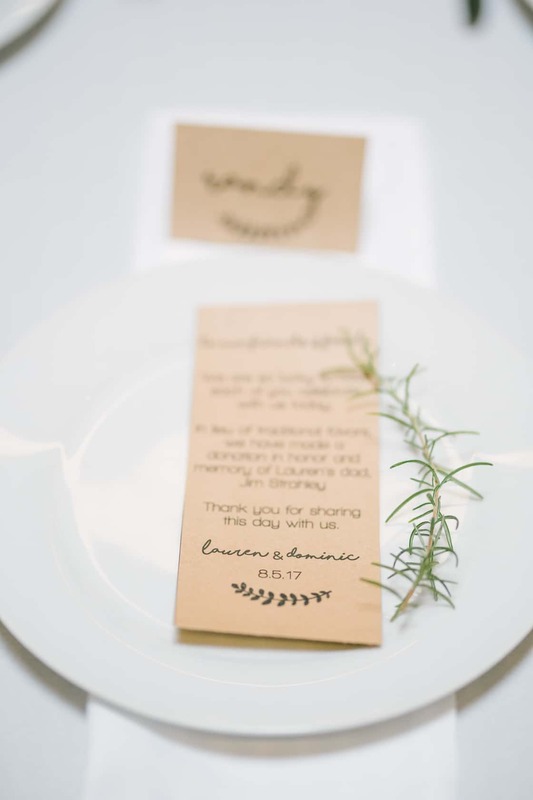 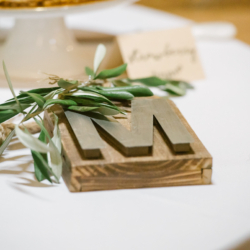 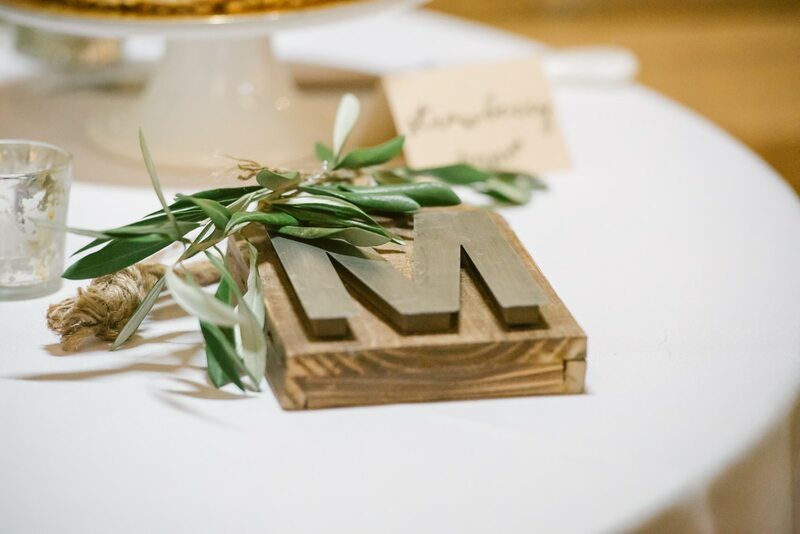 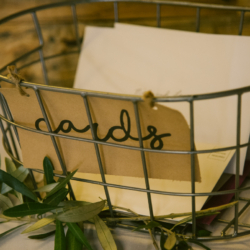 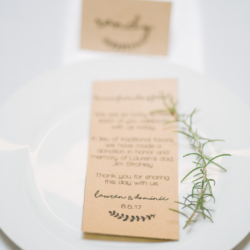 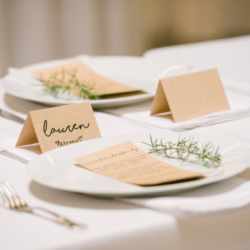 Lauren and Dominic’s family came together to help set the rosemary sprigs on each place setting, giving the set up a sweet, personal touch! 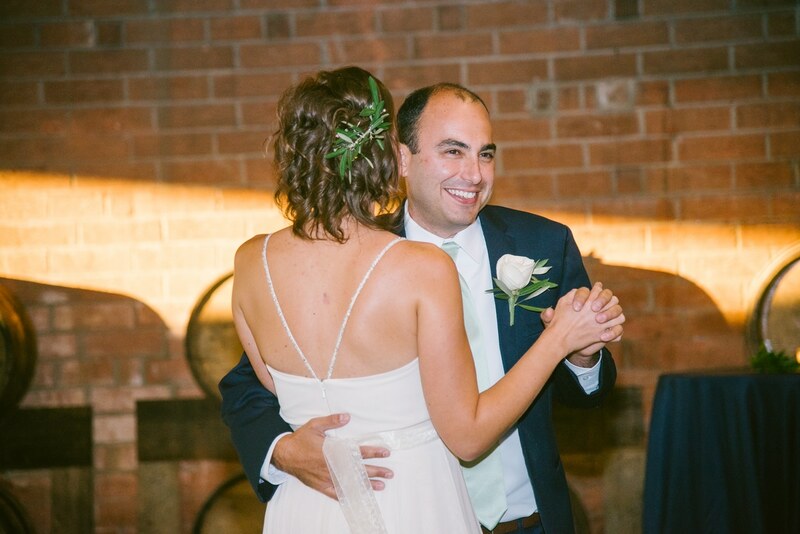 In place of the traditional father/daughter dance, Lauren decided to honor her late father with his favorite song—the Michigan Fight Song! 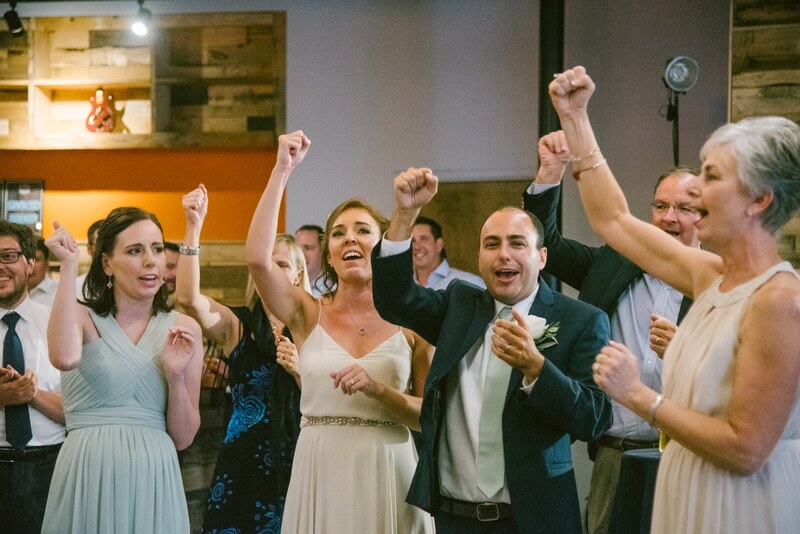 And everyone joined in the chanting and clapping as if we were all at a game, it was an amazing moment to be a part of! 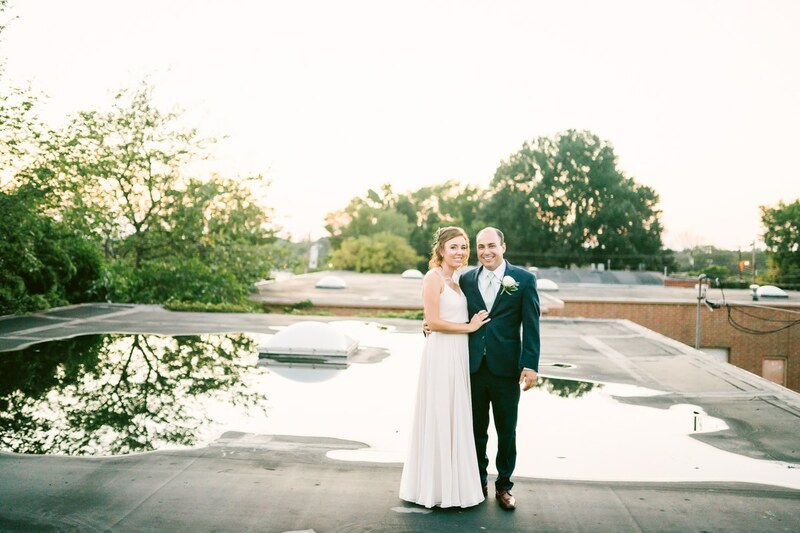 We struggled to find the perfect sunset pictures without rooftop access, so we decided to go on an adventure and find a spot. 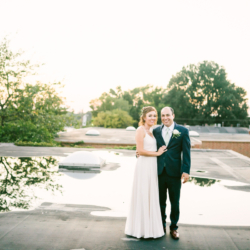 This led us to a rooftop on top of a small shop and the nicest man let us up on his roof with a ladder up to the building! 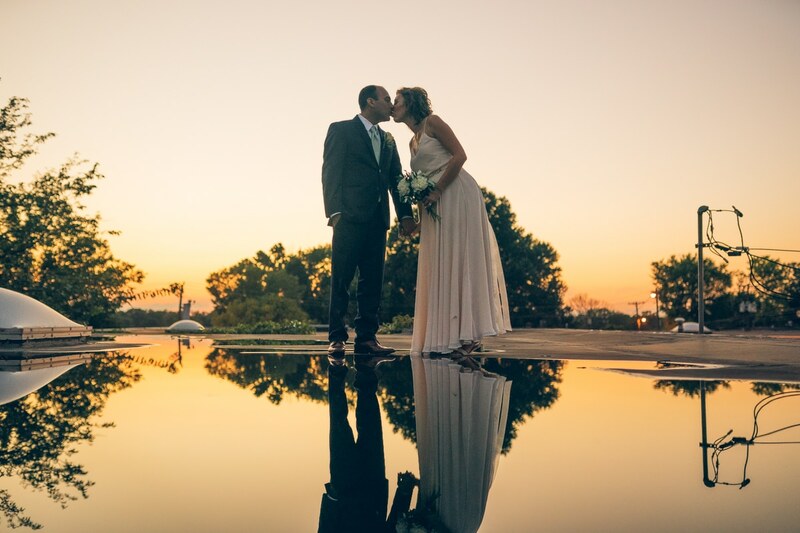 It was definitely a first for us here at MMW, but it was so much fun to get the perfect shot and have such a fun experience doing it! 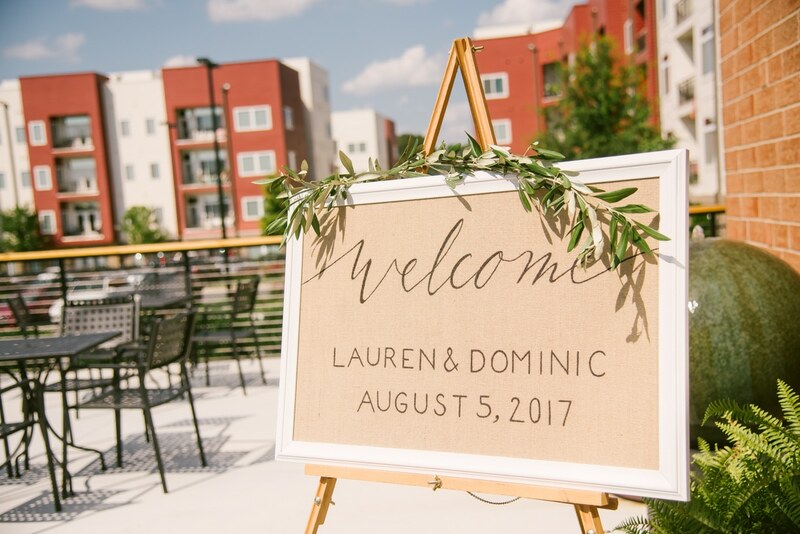 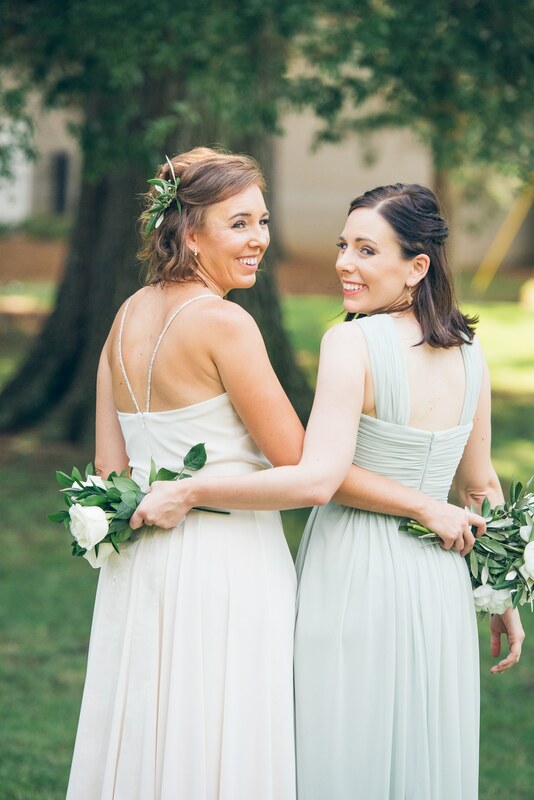 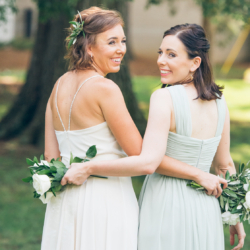 From the moment Lauren and I had our first meeting, I knew we were a perfect fit to work together to bring her dream wedding to life, and everything about that day was perfect!